Step back in your front yard and take a discerning look at your house. In most cases, the garage door plays a major role in the aesthetic. This large, blank canvas deserves due attention to enhance the curb appeal of your home. This point of entry is likely the most used door by your home’s inhabitants, even compared to the front door. 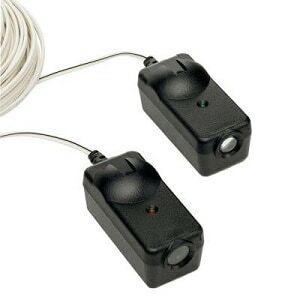 Smooth operation and quality materials ensure safe and long-term function. And, this means hassle-free, convenient coming and going for your family. Finally, a well-made, smooth functioning garage door offers safety to those living inside. Furthermore, some of your greatest financial investments find storage in the garage. 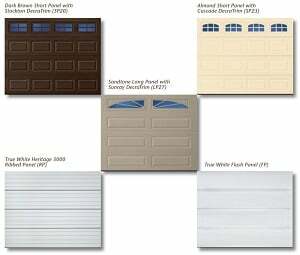 In deciding to replace your garage door, you may think, “aren’t garage doors all the same?” Well, the answer is no. 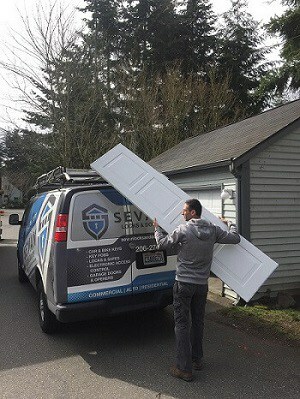 Sevan Locks & Doors is happy to lay out some of the Seattle garage door replacement, repair and insulation options available to you. Pros: Holds up to bumps and bruises. Offers charm with a classic look. Cons: Requires frequent repainting. May expand and contract. Cost: Low to high range. Durability: Short warranties indicate shorter life spans. Options: Variety of looks and design options. Pros: Tough. No warping or cracking. Cons: Low maintenance. Prone to dents. Cost: Mid range to expensive. Durability: High quality products may offer lifetime warranties. Options: Lower gauge numbers or fiberglass overlays reduce the risk of rust. Pros: Sturdy. dent-resistant and rustproof at higher grades. Minimal maintenance. Cons: Poor insulator. Prone to dents and cracks at lower grades. Cost: Expensive particularly at higher grades. Durability: Susceptibility to dent, crack or break decreases life span. Options: Heavy-duty frames with dent-resistant panels or mixed material construction available to reduce expense and weight. Cars and chemicals stored here do well with an exterior door, which breathes a bit more according to the federal Energy Star program. A heated garage or one used as part of your home benefits in energy savings from insulated garage door options. When considering the insulation needed in a garage door, take into account the items stored in this space. Flush-panel doors blend in with flat surfaces and light texturing. 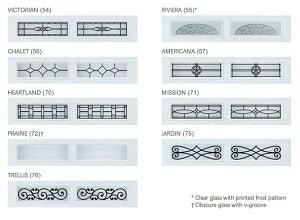 Short and long raised-panel doors provide visual interest with raised sections. 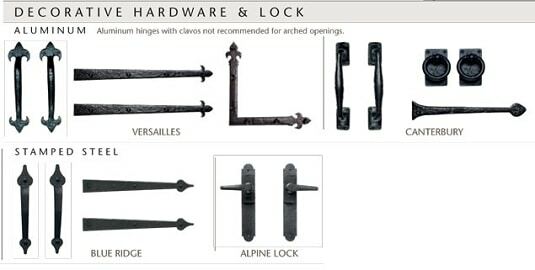 Carriage house panel options mimic old-fashioned carriage house doors. With the available options before you, the choice may prove overwhelming. A Seattle garage door replacement, insulation and installation specialist helps you find the perfect match for your needs and wants. Contact Sevan Locks & Doors today – we’re happy to assist with your decision.